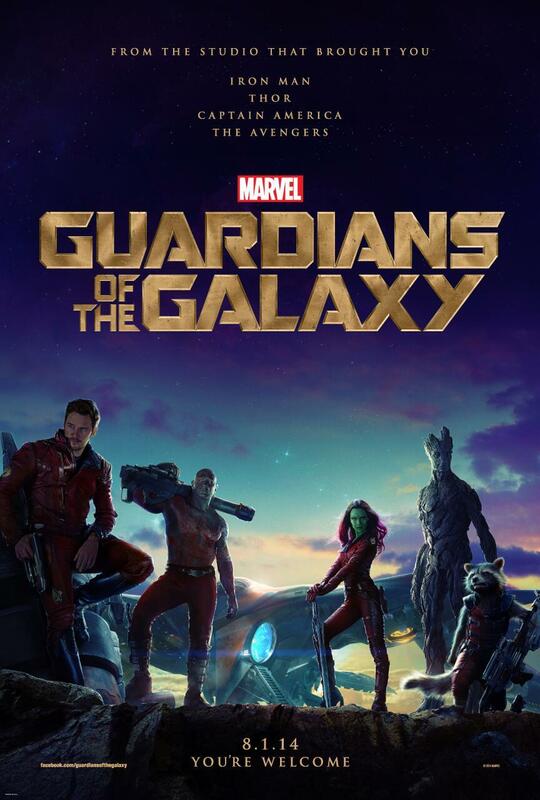 In this week’s Showcase podcast, my wife Erin and I talk about the newest comic book movie, Guardians of the Galaxy. Erin tackles it from the viewpoint of someone completely unfamiliar with the franchise, whereas I examine it as a longtime fan of the characters. We talk spoiler-free for a while, then put up a warning before we get spoiler-ful. 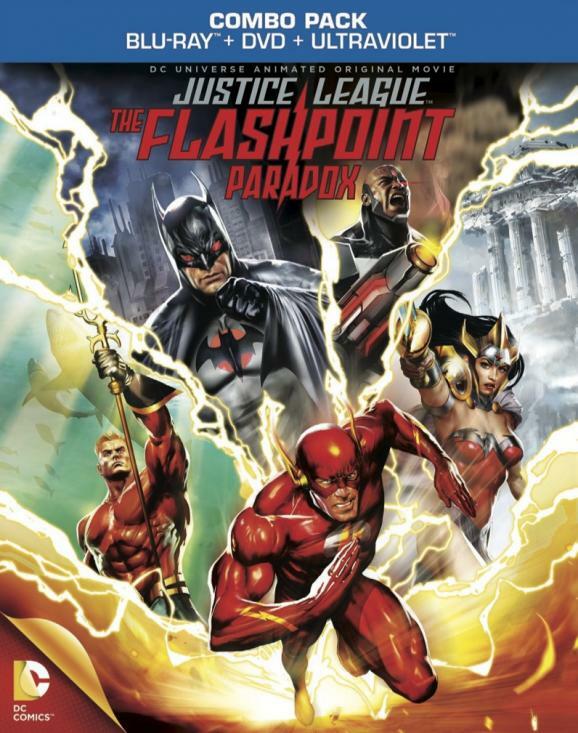 Plot: On the distant planet Krypton, Jor-El (Marlon Brando) successfully prosecutes a trio of murderous criminals, exiling them from the planet, trapped in a “Phantom Zone.” His feeling of triumph is short-lived, however… Jor-El knows that Krypton is doomed. The council refuses to believe him, and he sends his son away from the planet before its destruction. Kal-El is brought to Earth, where he is found by a farming couple, Jonathan and Martha Kent (Glenn Ford and Phyllis Thaxter). Although Jonathan is initially skeptical, Martha convinces him to take the child in and raise him as their own. As a teenager (played by Jeff East), Clark has begun to develop incredible power, and feels frustrated when he’s forbidden to play sports or excel in any way that would draw attention to himself. Jonathan tells him that he has a purpose on Earth far greater than scoring touchdowns, and Clark’s spirits are lifted, then immediately shattered when Jonathan is struck by a heart attack and dies. That night, Clark feels a summons to the barn, where he discovers a glowing green crystal from the ship that brought him to Earth. He tells his mother he has to leave and, carrying his father’s last words with him, makes his way north. On the arctic ice, the crystal constructs an enormous fortress, and a recorded hologram of Jor-El begins to instruct Clark towards his destiny. 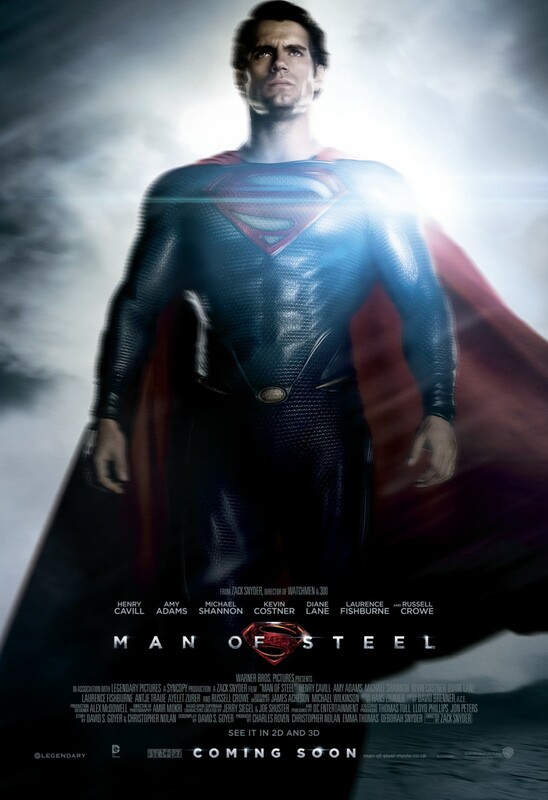 After years of tutelage, the adult Clark (Christopher Reeve) dons a brilliant uniform and takes flight. In the city of Metropolis, Clark gets at job at the Daily Planet, where reporter Lois Lane (Margot Kidder) is threatened by his encroachment onto her beat. She’s even more put-off by Clark’s oafish nature, his use of outdated vernacular, and the way he seems to crumble when the two of them are threatened by a mugger. He tries to talk the crook down, but is seemingly shot for his troubles. As the mugger escapes Lois checks on Clark only to find he’s “fainted.” With sly glance, Clark shows us the truth: he caught the bullet and saved Lois’s life for the first time. The next time comes later, when a helicopter on the Planet building crashes with Lois inside. She falls out, only to be caught in the arms of a bold figure in red, blue and yellow. Carried back to the roof, Lois asks him who he is. “A friend,” he replies. In his new identity, Clark begins thwarting criminals and rescuing people from disasters across Metropolis and all over the world, even saving Air Force One from a destructive storm. Planet editor Perry White (Jackie Cooper) demands that his paper become the official mouthpiece for the new hero, and Clark arranges a rooftop meeting with Lois, giving her the exclusive on the figure she dubs “Superman,” as well as taking her for a flight she’ll never forget. Beneath the streets of Metropolis, criminal mastermind Lex Luthor (Gene Hackman) is planning the biggest land scam in history. Along with his assistant Otis (Ned Beatty) and girlfriend Miss Teschmacher (Valerie Perrine), he steals a piece of meteor from a museum and hijacks the guidance systems of a pair of missiles. Luthor uses a high-frequency message to lure Superman to his lair and reveals his plan: he’s going to use the missiles to trigger an earthquake, making all the seemingly-worthless land he’s bought in California instant beachfront property, at the expense of millions of innocent lives. Before Superman can act to stop him, Luthor uses the stolen meteor – a fragment of Kryptonite from Superman’s home planet – to incapacitate him. As added insurance, Luthor launches one of the missiles in the opposite direction, to Hackensack, New Jersey. As he leaves, Miss Teschmacher is struck with a moral crisis – her mother lives in Hackensack. She saves Superman from the Kryptonite, but only after making him promise to stop the missile going to New Jersey first. The missile hits the fault, triggering Luthor’s earthquake. Superman dives into the Earth’s crust to hold the fault together and minimize the damage, but cataclysmic destruction is wreaked, destroying the Hoover Dam. Once he stops as much of the devastation as he can, Superman sees a final tragedy: Lois, who was sent to California to cover the strange land deal, has died in the earthquake. Heartbroken, he disobeys Jor-El’s decree not to interfere with history and flies into space, spinning time backwards and saving Lois. Superman captures Luthor and Otis and brings them into custody before taking flight once again. 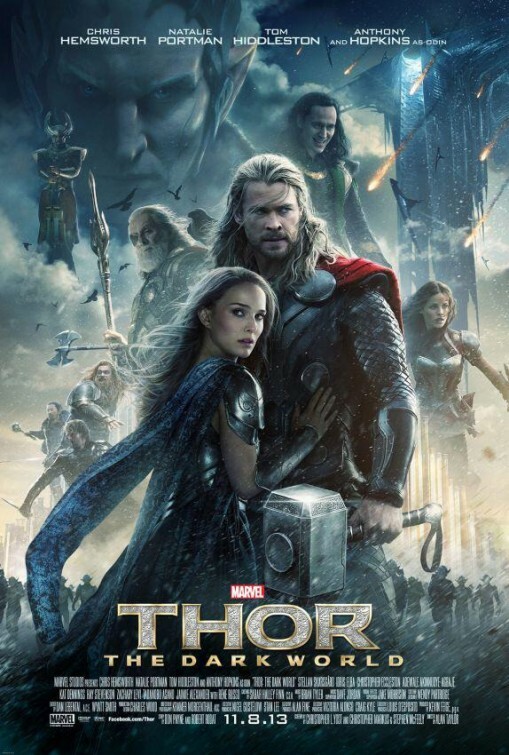 Thoughts: You will forgive me, I hope, if I fail to maintain even a pretense of objectivity about this movie. I have been a Superman fan my entire life – unironically and unapologetically – and a huge portion of that is due to the 1978 Superman. It left a mark on me, shaping my feelings about the character, about superheroes, about orchestral music, about cinema in general. I regard it, to this day, as a near-perfect film, and I make no bones about it. The movie opens with a double breaking of the fourth wall, starting with movie curtains opening, reminding us we’re watching a film, then going into a segment with a child reading an issue of Action Comics, reminding us of the hero’s pedigree. Both of these moments are short, though, and we quickly plunge headlong into outer space, into the magnificent John Williams score, and into what I still regard as one of the greatest opening sequences in cinematic history. 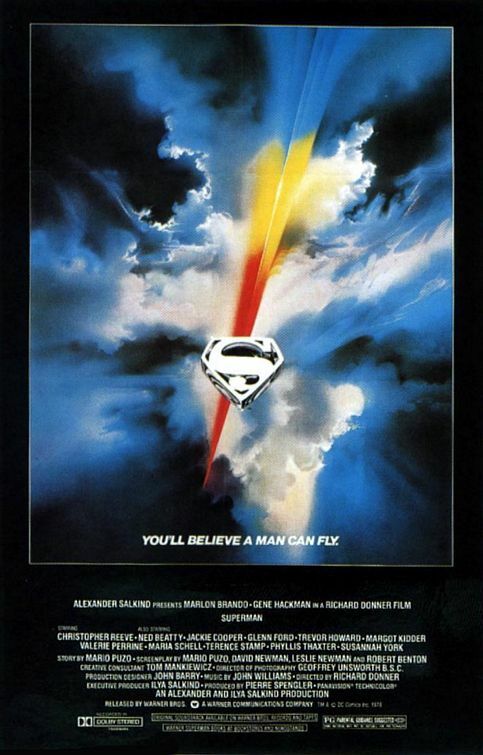 In retrospect, the opening could seem a bit bloated – Jor-El’s confrontation with General Zod (Terrence Stamp) has nothing to do with the rest of the movie, but it perfectly sets up Superman II, which was written alongside this film and filmed back-to-back. The producers, Alexander and Ilya Salkind, were doing what Peter Jackson did twenty years later with Lord of the Rings, and taking an enormous risk in doing so. The risk pays off, though. It’s almost 50 minutes into the movie before Christopher Reeve or Margot Kidder appear, before Superman puts on his costume for the first time, but it never feels like wasted time. We’re going through what we need to go through to tell the story, and it flows perfectly. The film has a gravity to it. From the beginning, as Jor-El makes his plans to send Kal-El to Earth, we see film with great production values that takes its character seriously. There’s genuine heartbreak as Jor-El and Lara place their baby in his spacecraft, there’s genuine terror as Krypton begins to crumble. Williams, again, blows us away with his magnificent musical score – aside from the main fanfare, the Krypton scenes have my favorite music in the entire film. You can close your eyes and listen, imagining all the while an ancient civilization full of beauty and grandeur, and you can hear it sicken and die. About 15 minutes later into the film, Jeff East as young Clark grieves for Jonathan’s death, and we grieve with him, for the fact that all of his power couldn’t save his father from a mundane heart attack. This, friends, is what so many people don’t understand about Superman. They focus so much on his power and all of the things that he can do that they totally miss moments like this one, the moment where his power simply isn’t enough. This is where the true Clark Kent is shown, when he finds something he can’t just punch his way through, and bleeds for it. The compelling thing about Superman is that no matter how much he does, he always wants to do more. If you don’t see something uplifting about that, I don’t know how to talk to you. 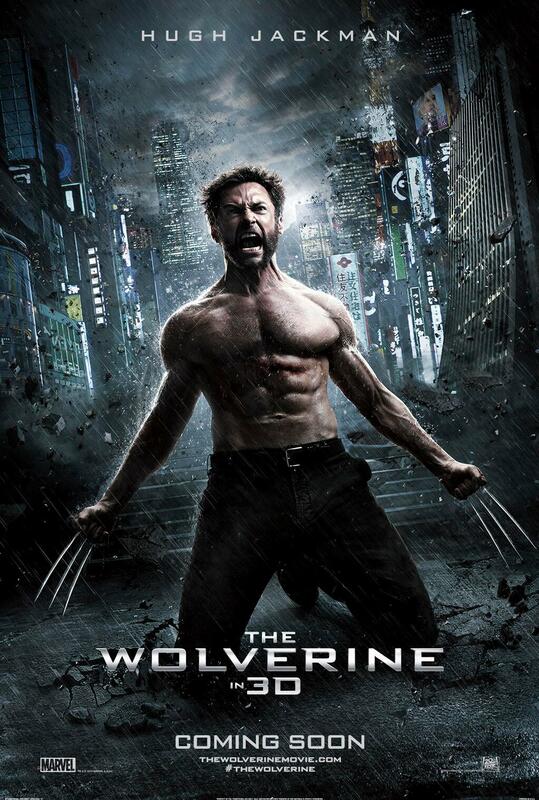 Not to say that everything about the film is weighty or depressing. Once we reach Metropolis there are many good, lighthearted moments, and not just from Ned Beatty’s clownish performance as Otis. (It’s not a bad performance, mind you, but it’s almost too goofy at times.) Once in Metropolis, the film has to strike a balance between the silly and the serious, and this is where it’s time to talk about Christopher Reeve. Reeve is perfect. Flawless. Without error or fault. In this film, he does no wrong. He’s pretty good, is the point I’m making. This is the movie where any argument about how silly Clark Kent’s disguise is falls apart, and it’s solely due to Reeve’s performance. As Clark, he adopts a bit of a silly, corn-fed attitude. It puts people off, it makes them underestimate him, it makes them think he’s less of a man than he really is. It’s a sacrifice he chooses to make, because the moment he drops the mask he becomes remarkably charismatic, emboldened, and powerful. Even when he’s pretending to be the oaf, there are plenty of moments when he allows his true personality to shine through, even if it’s just for the audience. Any doubts about the disguise crumble the moment he catches the bullet in the alley. As soon as Lois walks away we see his true glee at the success of his ruse shine through on his face. Superman’s disguise isn’t a pair of glasses, it’s the performance of a master actor who adopts a persona that would never even allow people to think of him in the same breath as Superman. Reeve plays two characters who are both the same man, and he nails it. As Reeve is the perfect Clark Kent, Margot Kidder is almost as good as Lois Lane. She’s Noel Neill on a caffeine rush – a quick, clever wit and a biting sarcasm that befits the character. She also plays Lois as someone utterly without fear – she’ll rush in to any situation to get her story. The chemistry between Kidder and Reeve is almost tangible. They play off one another with verve and vigor, each of them playing a bit of a chess game over the question of identity, even if Lois isn’t fully aware of who her opponent is. The game, in fact, begins even before Superman appears. The first time Lois and Clark meet, he puts on his act and struggles to open a bottle of soda. She “helpfully” takes it and bangs it on the desk a few times, loosening the cap, but causing it to spray all over him when he opens it. At first blush, it seems like a simple comic moment, establishing who this incarnation of Clark Kent is, but in the next beat it tells us everything we know about both characters. Lois apologizes and says it was an accident, and Clark says he’s sure it was, because who would try to make a complete stranger look like a fool? It’s a brilliant moment of characterization: Lois pulls a little passive aggressive crap because she’s mildly threatened by the new reporter in the room, and Clark calls her on it without ever allowing his disguise to slip. The game has begun. For the time, the special effects are pretty impressive. The outer space sequences are as good as anything in the first Star Wars film, the creation of the Fortress of Solitude is awesome, and the flying scenes… there’s a reason why the tagline for this movie was “You’ll believe a man can fly.” Today, no doubt people would mock the clear use of greenscreen for the flying effects, but in 1978 it absorbed audiences completely, and if somebody can get over a modern hipster attitude and look at the film in context, it’s still pretty damn impressive. As I say, the movie is merely “nearly” perfect. There are some small flaws that I can recognize. For example, in the sequence where Kal-El is sent to Earth, we listen to Marlon Brando’s voice tutoring him in the history of Krypton and the “28 known galaxies,” which sounds like a cool sci-fi premise, but doesn’t go anywhere. Kal-El is still a baby, and Clark Kent doesn’t remember any of this later. At most, you can point out the philosophy, where Brando entreats him not to interfere with human history… which, of course, he does at the end of the movie anyway. At any rate, most of the instruction is repeated later when Clark enters the Fortress of Solitude, making that voiceover portion of that otherwise-stunning sequence redundant. Other problems are more due to the inherent limitations of the time. Today, we refuse to accept a supervillain plot that doesn’t include some sort of massive special effects spectacle, which is fine. Today we can do that. In 1978, as impressive as this movie was, it wasn’t at the point where we could see high-speed in-flight battles or massive explosions that weren’t obvious models. So the supervillain’s scheme is, in essence, a real estate scam with a massive loss of life. It works for the movie, but it isn’t quite as thrilling as it could be. And finally, the one sequence where the film falls from the heights of Olympus to the pit of a pot of cheese whiz: the “Can You Read My Mind?” scene. The interview with Lois works very well, with Reeve now given the chance to be bold and aggressive while Kidder plays a little bumbling and awkward for a change. Then he takes her to fly, another beautiful piece of music begins… and it’s all derailed by one of the most unnecessary and irritating voiceovers in movie history. Lois ponders, in verse, who this strange man is and the audience rolls its eyes. On the other hand, it’s hard to be too mad at this scene. As awful as the flight sequence dialogue is, the line “I like pink very much, Lois” is one of the greatest things ever written. I love this movie and I don’t care who knows it. Even now, it stirs the soul, brings a tear to my eye at all the right moments, and makes me believe in things like courage, and heroes, and the basic decency of humanity. It does everything Superman is supposed to do, bringing out the best of the human spirit, and reminding us what “truth, justice, and the American way” is supposed to mean. Today, 35 years later, this movie has aged very well. Today, 35 years later, it is still a wonder. Plot: Daily Planet reporters Lois Lane and Clark Kent (Phyllis Coates and George Reeves) are sent to cover the opening of the deepest oil well in the world, but arrive to find that unknown problems in the drill shaft have caused the company to shut the oil well down. As the two of them find rooms at a local hotel for the night, the oil shaft is opened from the inside and two bizarre creatures stumble out. 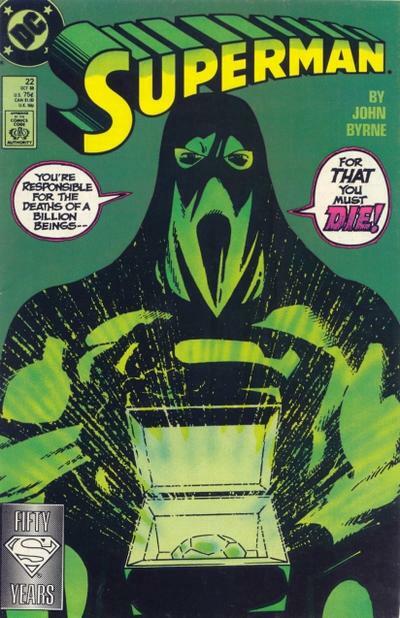 In the morning, Clark and Lois arrive back at the oil shaft to find the night watchmen dead, frightened to death Lois glimpses one of the creatures, but Clark and the oil rig’s foreman are skeptical of her claim. The foreman confesses to Earth that the super-deep drill hadn’t struck oil as planned, but phosphorescent radium, then burst into an enormous hollow area deep beneath the Earth’s surface. The two Mole creatures are spotted in town and an angry mob forms, planning to hunt them down. Switching his clothes to his Superman uniform, the man of steel races the mob, led by Luke Benson (Jeff Corey). The Mole Men have already escaped, and Superman’s effort to placate the mob is only partially successful – several of them head out that night and find the Mole creatures atop the town dam. 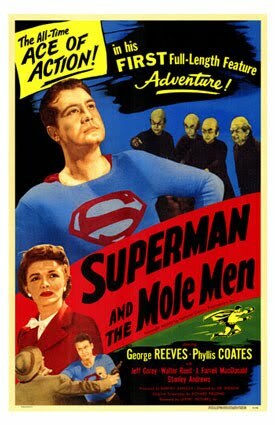 One of the Mole Men is shot, and Superman catches him in the air, racing him to the hospital, while the other escapes. Benson’s mob chases the remaining Mole creature to a shack, trapping him, then set the building on fire. He narrowly escapes, but Benson believes him dead, allowing him to return to the drill shaft and slip back underground. At the hospital, the doctor is afraid to operate on the Mole Man due to the radiation, and Benson is assembling his mob again again. Superman faces down the mob, and the second creature returns from the drill shaft with reinforcements and a weapon. They approach Superman, who realizes they’ve only come to rescue the wounded creature. Benson tries to attack them, and they turn their weapon on him, but Superman saves him. He helps the Mole Men return to the drill shaft, which they destroy from within. No one will ever disturb the Mole Men again. Thoughts: After two movie serials starring Kirk Alyn, this short movie (only 58 minutes) was made as a sort of test for the proposed Adventures of Superman TV show. The show was given the greenlight and this movie was heavily edited and shown on television as the last two episodes of the first season. These days, such a thing would be really obvious, but at the time, the production values of a TV show versus a B-movie weren’t really that disparate from each other… I’m sure a lot of the audience never even knew. 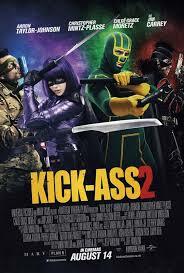 The film absolutely presumes audience familiarity with the characters. Aside from a short bit of voiceover at the beginning, it doesn’t waste any time with Superman’s origin or establishing Clark Kent’s life at the Planet. In fact, except for Lois Lane, none of the other characters who would be regulars on the TV show make an appearance at all. Reeves and Coates are cut from the same cloth as Kirk Alyn and Noel Neill, who filled those roles just the previous year (and Neill would replace Coates on the TV show after the first season). Reeves is the square-jawed paragon of heroism that we all expect Superman to be – strong and bold. Like Alyn, his Clark Kent is earnest, but he also has a bit of swagger, a bit of cockiness that we don’t often see in Superman. He’s not a jerk or anything, but neither is he the oafish, bumbling Clark Kent later adaptations would have. 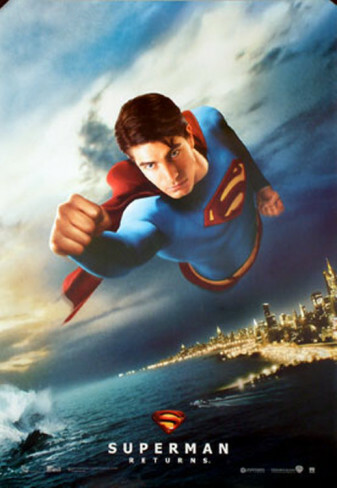 Reeves’s Clark is virtually the same character as his Superman, just with a change of clothes. As the TV show progressed over the next few years, he began to adopt a real sense of tongue-in-cheek humor, a bit of a wink at the camera, but in this early appearance we don’t see any of that. All things considered, there’s surprisingly little Superman in this movie. If you skip the opening narration, Reeves doesn’t put on the famous costume until 24 minutes in (and I remind you, the total running time is just 58 minutes). If a viewer somehow didn’t know who “Clark Kent” and “Lois Lane” are, they could easily think this was just another “monsters from beneath the Earth” sci-fi flick like hundreds of others being turned out at the time. This falls into the edict of the TV producers, I suppose – there was a rule on the show that Superman didn’t show up until the third act. This limited the need for special effects (a term used here loosely), but also helped force Reeves’s Clark into being a tougher character, otherwise the audience probably couldn’t have stood him for that long. The best effect in the film, by the way, are the bursts of light when the Mole Men try to zap Benson… it wasn’t much of a wad, but they blew it at the end. Coates is a passable Lois Lane, but doesn’t quite have the energy that Neill (and later actresses) brought to the role. She moves the story along and doesn’t embarrass the character, but at the same time, she doesn’t really keep pace with Superman the way you’d want her to. She has a brief exchange with Clark, berating him for always disappearing when there’s trouble and completely missing the obvious answer, even when he slips and says “I” saved one of the Mole Men before correcting himself to “Superman.” It’s stuff like this that sometimes gets Lois branded as less of formidable woman than she deserves to be. The Mole Men themselves, visually at least, are probably the least-effective thing about this film. They’re creepy, to be certain, but that mostly comes through their odd way of moving and the expressions on their faces. Like so many science fiction movies of the era, the monsters look like actors in bizarre suits, covered in fur and wearing skullcaps that make them look less human, but not totally convincing as monsters. From a story standpoint, though, the Mole Men work much better than the makeup budget allows. There’s a hint of tragedy to them. They’re never portrayed as evil or even accidentally menacing – they’re simply creatures taken from their own world and placed in one where they don’t belong. Even at the end, when they fight back, it feels much more like self-defense, like a rescue mission, than it does an intentional threat. The scene where they meet the little girl has echoes of the Universal Frankenstein, while the agonized face of the creature trapped in the burning shack reminds me of nothing so much as Tod Browning’s Freaks from 1932. Like the people in that film, you sympathize with the creature far more than the people who torment him. In the end, the biggest reason to watch this movie is for Reeves. Both as Clark Kent and as Superman, he’s got a strength and a commanding presence, a clear-headed rationality that the character deserves. Reeves was wonderful in this role, even if it did weigh down upon him for the rest of his life. That life ended tragically, of course, and one will always have to question how much of that tragedy was a result of his association with his most famous role… but as a Superman fan, we can only be grateful to have had a performer this early who embodied the hero so well.